Undeniably the most iconic animal species, Royal Bengal Tiger holds great historical and cultural significance in Nepal and India as deities of Lord Shiva and goddess Durga. Recent National Tiger survey conducted between November 2017 and April 2018 in the Transboundary Terai Arc Landscape (TAL) region of Nepal shows that we have 235 Royal Bengal Tigers in our country. This makes Nepal the first country in the world to double its national wild tiger population as the ambitious goal to double the world’s wild tiger population by 2022 is underway. The noteworthy commitment to double the world’s tiger population was signed by 13 countries including Nepal at St Petersburg tiger summit in 2010. Various surveys were conducted to monitor tiger population in Nepal. Camera traps and occupancy surveys were used to estimate the tiger habitation and the abundance of these beautiful big cats. The recent survey—tiger and prey based survey—was led by Department of National Parks and Wildlife Conservation and Department of Forest in association with various other organizations including World Wildlife Fund (WWF). Nepal has shown a significant increase of Royal Bengal Tiger population. Several factors account for this change. Stable political situation and commitment of leadership along with joint effort of WWF, National Parks, Government of Nepal, local people, national and international organizations working in conservation of diverse flora and fauna contributed a lot. In Parsa Wildlife Reserve, Zoological Society of London (ZSL) and Panthera are working jointly to monitor the tiger and their prey using camera traps, providing training for effective law enforcement and using Spatial Monitoring and Reporting Tool (SMART) system. ZSL has also equipped and supported the development of Rapid Response Petrol team in Parsa Wildlife Reserve in collaboration with Department of National Park and Wildlife Conservation (DNPWC). These efforts are paying off. Nepal now stands as a symbol of conservation for several other endangered species that are to be preserved before they disappear from ecosystem. This beautiful country does not only attract tourists, but also holds the capacity to provide shelter to the most iconic and beautiful giant cats. Nepal’s achievement in increasing tiger population can be a lesson for the world for protection and conservation of several other endangered species. According to WWF’s Tx2 goal, Nepal is now just a few tigers away from reaching its doubling target by the end of 2022. The government of Nepal and conservationists are quite confident about reaching that goal. Nepal’s achievement not just raises hope, but also provides a lesson to the world for the conservation of other critically endangered species such as Amur leopard, Black rhino, and Bornean orangutans to Honks bill turtles, Vaquitas and Bluefin tuna which are at a great risk of extinction. These animals face great threat due to poaching and natural habitat destruction. The number of Amur leopard is sharply decreasing due to poaching for its beautiful and soft fur. Similarly, Sumatran orangutan lost 80 percent of its population in the last 75 years due to habitat destruction caused by mass deforestation. There are less than 60 Javan Rhinos surviving in one national park in Java Indonesia. One-horned Rhino, found in Nepal and Pangolins—the most trafficked animals in the world—are losing battle against poachers. Nepal has made notable progress in conservation of these critically endangered wild cats from extinction to nearly doubling its population in just nine years. Formulation and implementation of strict laws against poaching and trade of wild animals, active participation of conservation organizations like WWF Nepal, National Trust for Nature conservation, Leonardo Dicaprio Foundation, Panthera and others have helped a lot. Proper management of national parks, conservation areas, and community forests has provided a big boost. Income generating activities—such as doll making, pickle manufacturing and biogas plant—introduced at the local levels have stopped people from coming to the forest areas to look for firewood. Together, this has helped in reducing habitat destruction. Biogas has also contributed to pollution control. 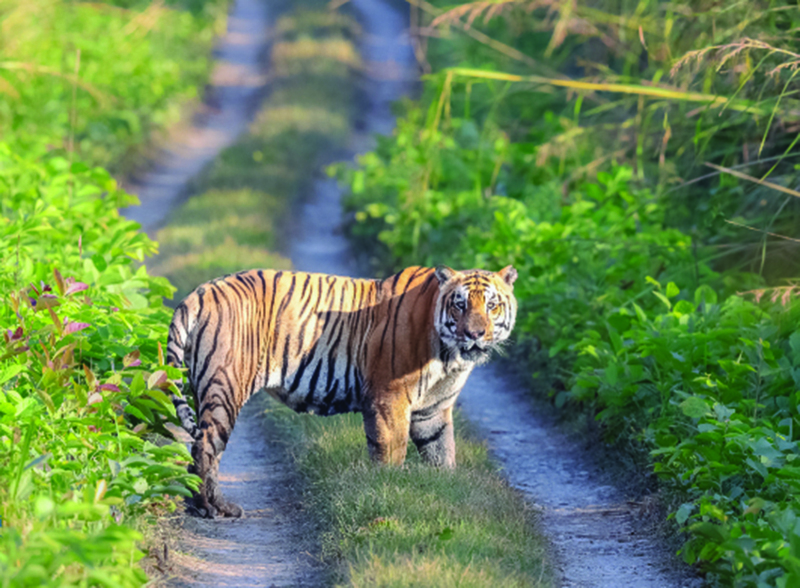 Despite notable progress in achieving doubling target, poaching and illegal wildlife trade remains the biggest threat to Royal Bengal Tigers and other wild lives. Genetic information of wild tiger populations including geo-location data, which Nepal has introduced, could help fight against wildlife crime. Lots of animals are on the verge of extinction and they need to be saved. Huge money is spent every year and lots of scientists are working together with thousands of organizations for their protection. But our efforts should not stop just there. Nepal needs to be constantly working for their safety and protection. We need to be working constantly to ensure their existence within this planet itself.